ATLANTA: Members of Greater Atlanta Automobile Media Association (GAAMA) walked the floor of the Georgia World Congress Center to preview more than 400 new import and domestic cars, light trucks, vans, crossovers and sport utility vehicles on display at the 33rd annual Atlanta International Auto Show. Judges chose winners for GAAMA's 2015 Auto Show Awards in five categories. “All of the nominees were competitive, and it was a tough decision in each category,” said GAAMA President Nick Palermo. “This year's show is particularly exciting because automakers are offering so much new technology across the price spectrum. For drivers, that translates to greater comfort, safety, performance and efficiency. Our winners are the star students in a class of overachievers. We added a Crossover category this year, along with a Judges' Choice award for a particularly compelling vehicle of any type." 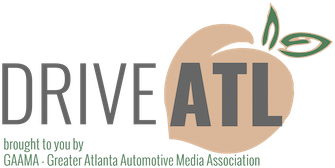 GAAMA is a professional organization of automotive media, auto manufacturers and public relations professionals that provides a forum for newsworthy people, products and events in the automotive industry. GAAMA regularly brings together its members for meetings, product presentations, vehicle demonstrations and other programs, helping members build networks and stay current with industry trends.